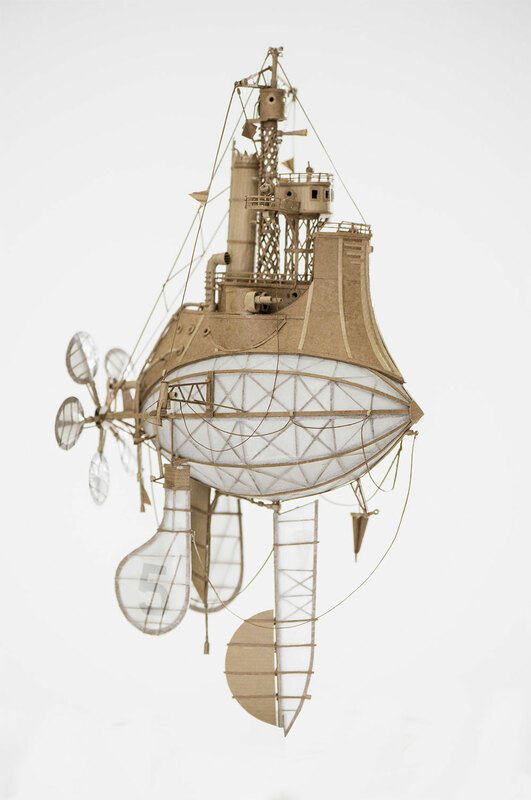 Joshua Smith is a miniature sculpture and stencil artist based in Adelaide, South Australia. 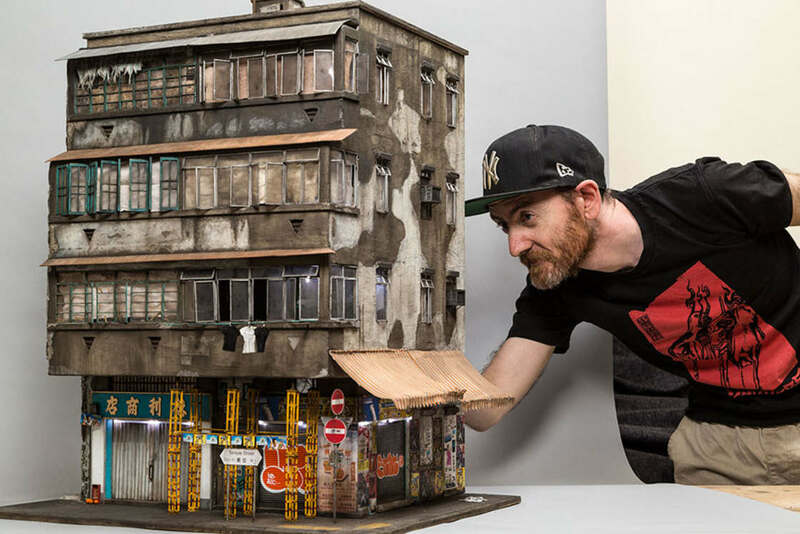 His body of work consists of hyperrealistic urban architecture that primarily focus on the often overlooked aspects of the urban environment with features such as grime, rust, graffiti, discarded cigarettes, or wall posters perfectly recreated in 1:20 scale miniatures. Each piece, crated from MDF, Wood, cardboard, plastic card, chalk pastels, spraypaint, wire, plastruct. Australian illustrator Dan McPharlin is known for his gorgeous sci-fi illustrations that can be found on international magazine covers, books, and record sleeves, depicting alien worlds in beautiful retro color schemes. He made a wonderful series titled "Analogue Miniatures" to pay tribute to early synthesizers and analogue recording equipment. 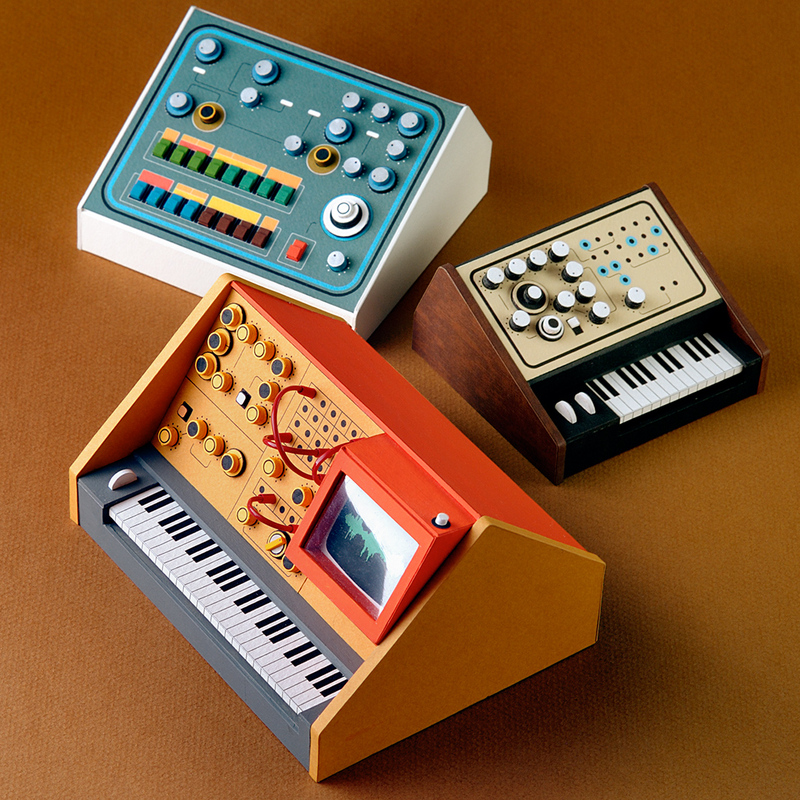 Each miniature synthesizer is meticulously handcrafted from framing matboard, cardboard, paper, plastic sheeting, string and rubber bands. Rather than replicating the existing machines, the focus was more about creating a revisionist history where analogue technology continued to flourish uninterrupted. 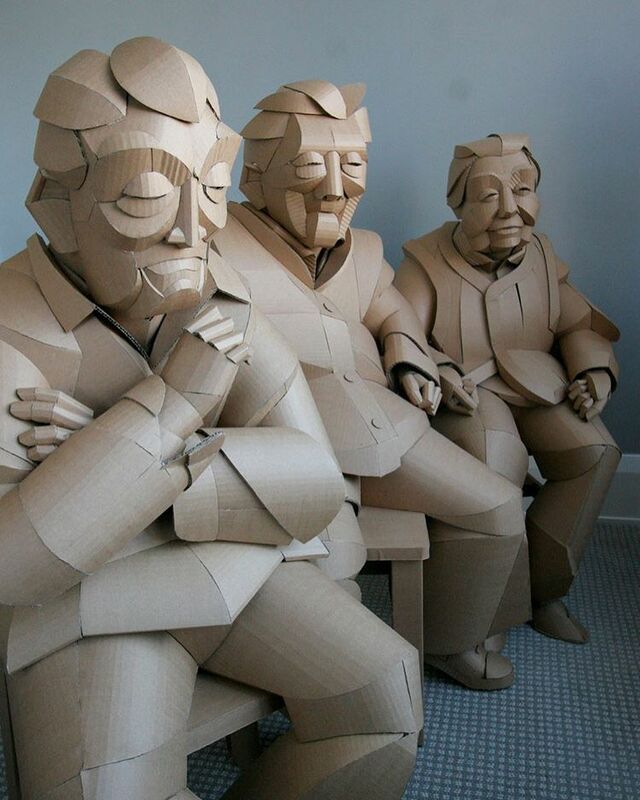 Warren King is an American artist based in Stockholm, Sweden who creates these stunning life-sized figures from only cardboard and glue. This ongoing project is a recreation of his grandparents’ home village in China one individual at a time. The discarded materials that he uses relate to the nature of the connections he is attempting to reconstruct. The forms are abstracted, and the backs of the figures are left unfinished, revealing hollowness and the artist’s meticulous construction. His work is not so much about the individuals that are represented as it is about his own attempts to understand them, and also the limitations of these efforts. 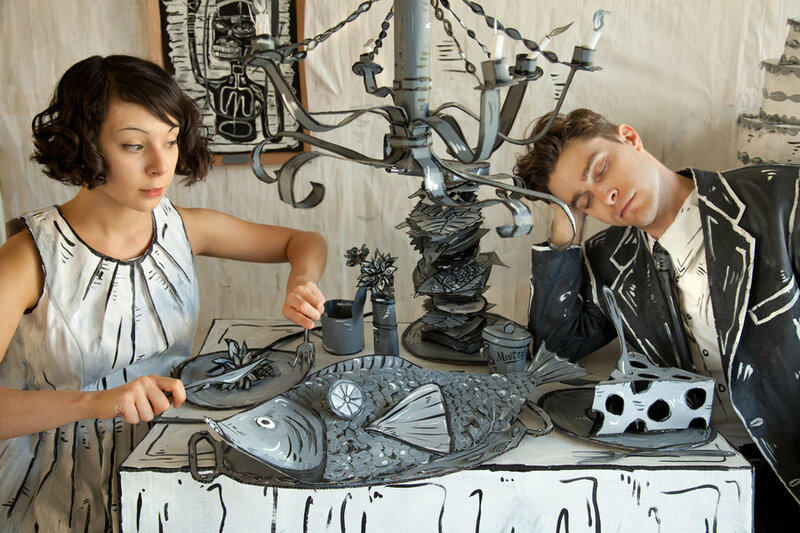 Kazakhstan-based artist Boris Klimov is well known for creating personified taxidermy animal characters as we have seen in the past with good ole' Chefpanzee. 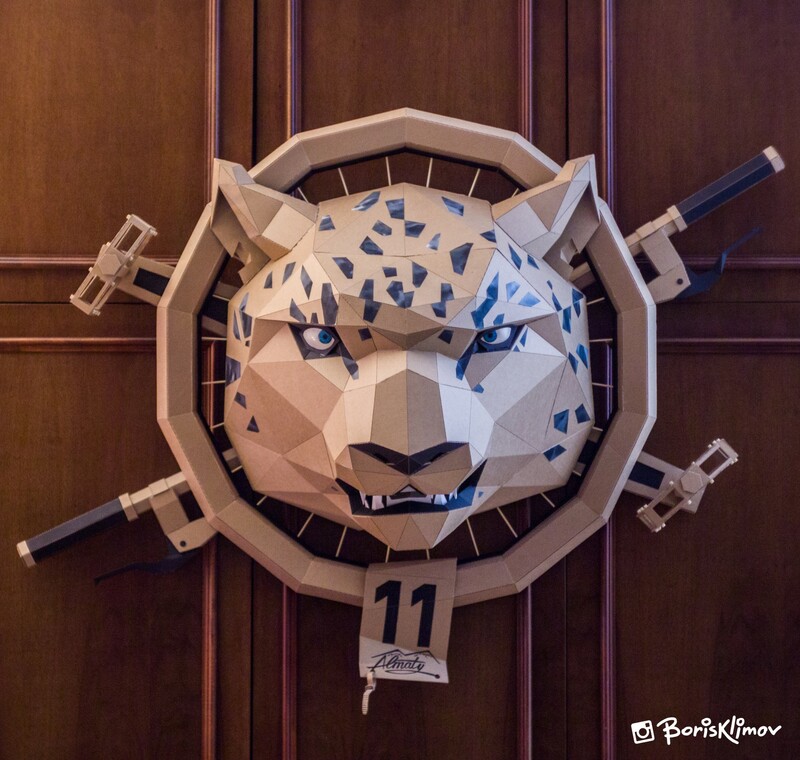 His latest cardboard sculpture was inspired by a trip to the Almaty Mountains where their main predator is the snow leopard. He decided to do a mesh of a biker and the leopard together to produce Bar Biker! You can see the foot pedals and handles jutting out in a criss-cross fashion almost making him look like a ninja or a skull and crossbones, either way... it's a snow leopard with attitude! 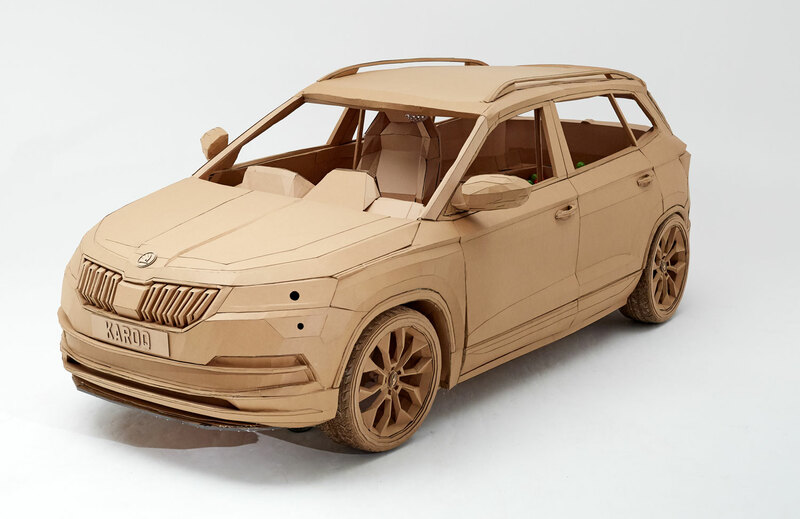 It's been a long while since we have seen Los Angeles-based artist Kiel Johnson's amazing cardboard creations. I'm sure you may remember the miniature cityscapes from scraps of cardboard and the amazing cardboard costumes created for the corrugated youth exhibition. 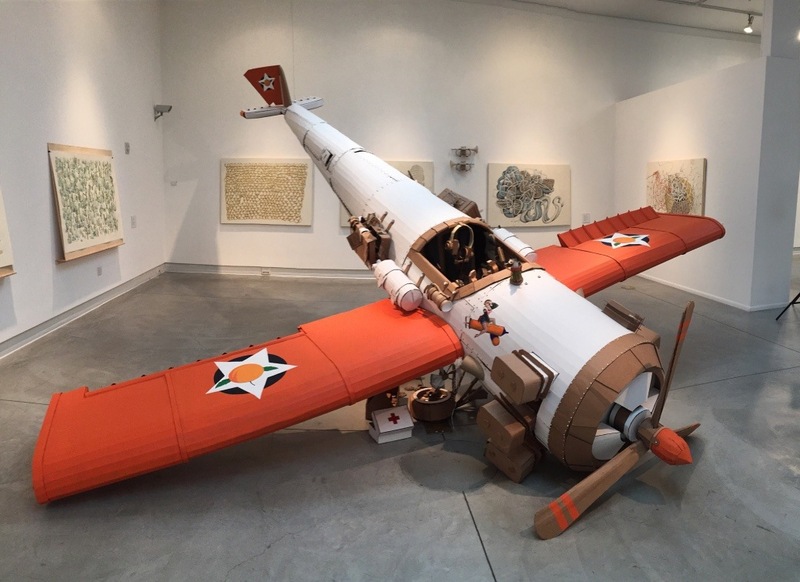 Well now he has gone above and beyond, both literally and figuratively, with a stunning aircraft handcrafted entirely in cardboard. 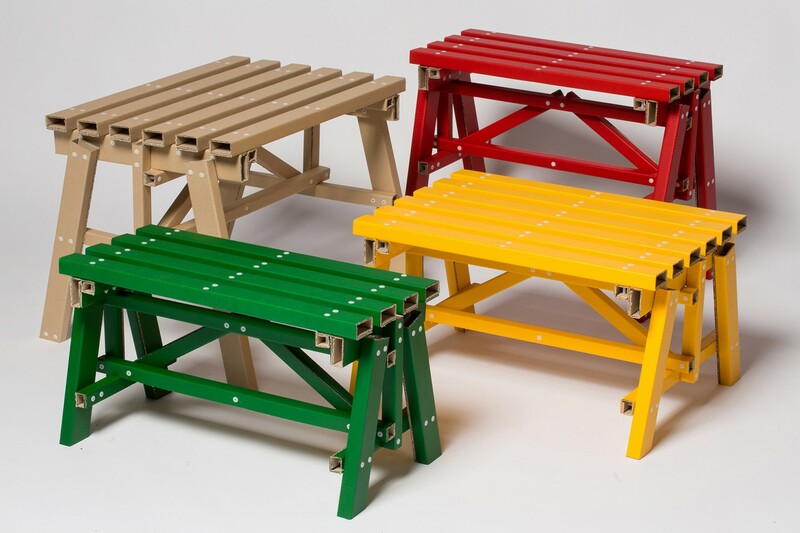 Assembli is a Netherlands-based studio started between printing company Lankhorst and designer Joop Bource, where they develop fun and contemporary interior design projects with a challenging twist. 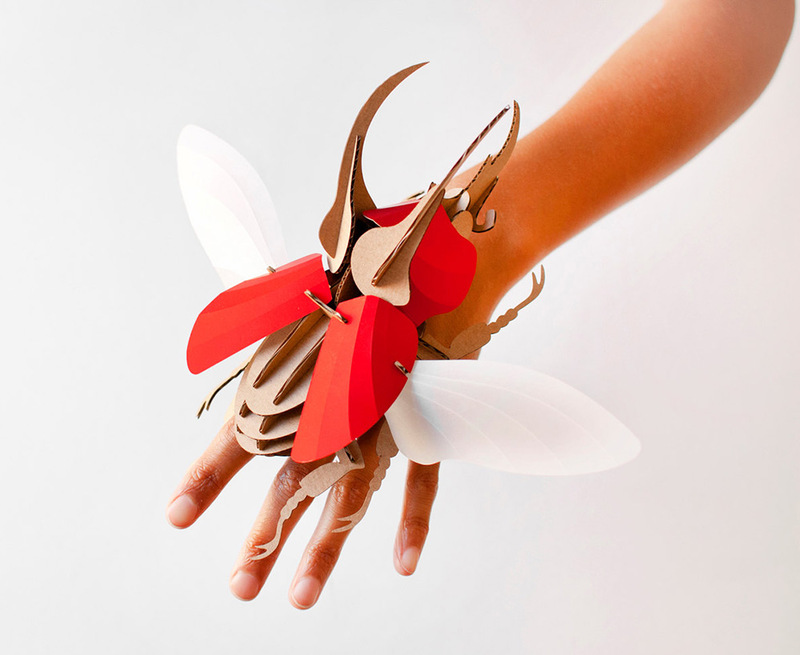 They have just released a colorful trio of DIY beetle models crafted from paper and cardboard, where all of the skeleton parts, wings and body parts interlock together to form this fun 3D puzzle kit. The flat-pack model kits are available in three different beetle species including stag, hercules, and atlas, each in a number of different metallic colors. The kits are currently available on Etsy. Be sure to watch the videos below to see their easy assembly.